Hi! This is a popular post. Seems like a lot of people are interested in domes. We’ll be building ours in 2019…we hope. We’ve had many delays, so we’ve focused on making a home out of our metal polebarn first in order to move to our land and take the time we need to build the dome the way we want to. If you have questions you think we can help with, please contact us – or comment on Facebook or Instagram, where updates are smaller but more frequent than here. We welcome the conversation and hope your dome experience is stellar! 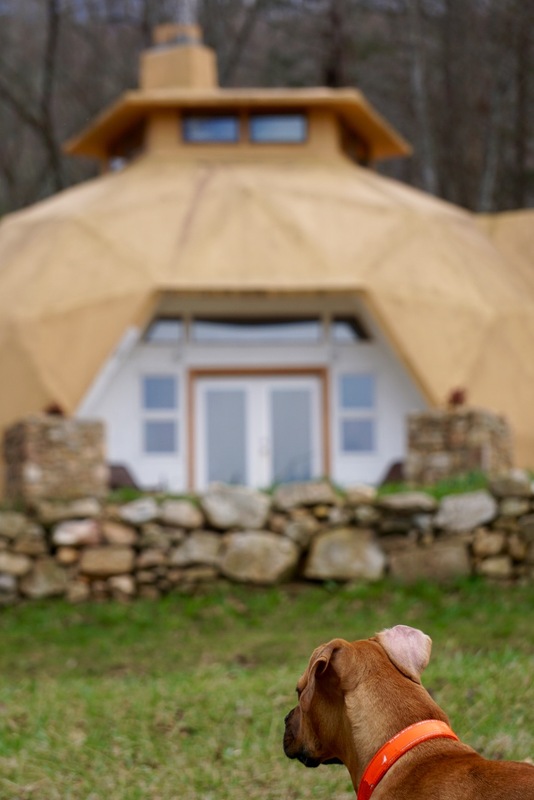 Dome homes are energy efficient, disaster resistant, and generally awesome inside and out. After living in a geodesic dome for a year, it’s a mystery to Chris and me that anyone would want to live in a rectangular house. Well, almost a mystery. There’s a reputation for leaks and noise, financing can be a challenge, building materials are made for traditional houses, and contractors may be easier to hire to build a house of right angles. On the other hand, there’s natural light, energy efficiency, and a weirdly wonderful flow…from the moment we walked into the “round house,” as the neighbors call it, we were hooked. We’re dome people. Read on to understand why we say, “Right Angles? Bah!” and to figure out if you’re dome people, too. Domes are a part of nature and have been part of architecture for forever. If you’re looking, you’ll see them everywhere, from capitol buildings to churches. Dome as homes became marginally popular in the 20th century, especially in the 1950s after Buckminster Fuller patented his famous geodesic dome-home design. Whether society wasn’t ready for them or their round shape presented too much of a challenge to builders, dome homes never gained momentum. These days, they’re stuck somewhere in the housing hierarchy between traditional homes and non-traditional housing cousins like earthships, yurts, and rondettes. You might see domes in neighborhoods without HOAs, but more often, dome homes live on the outskirts where zoning and building codes are less stringent. The challenges of code and securing financing and contractors may scare people away from building dome homes. It’s extra work to build something that doesn’t look like everything else. That’s a shame because dome homes have many benefits to society as well as to you. They’re roomy and efficient. Spheres enclose more volume under less surface area than any other shape. This means fewer building materials and less surface area to affect internal air temperature. Plus, they’re strong. The dome shape is resistant to wind and can withstand heavy snows and trees falling on it. When we first rented the dome we’re in now, we were curious about why the builder kept saying “geodesic” before “dome.” It’s a lot of extra syllables, and aren’t all dome homes geodesic? Nope. There are two main types of dome homes. Monolithic dome homes are generally fortresses of concrete and polyurethane foam sprayed over round forms. Geodesic dome homes are made of triangular panels. If you’re staring at a dome right now and wondering which it is, the triangles of the geodesic dome will be visible to the eye, while a monolithic dome looks smooth like a mushroom cap. The geodesic dome is our personal preference for two reasons: construction is less specialized, and they look less like bubbles. 1. Safety! Being round makes dome homes nearly impervious to wind, including tornado and hurricane gusts. Depending on your building materials, windows, and doors, a dome home can be fire resistant (helpful if your area is wildfire prone like ours). If weight is applied to the dome, like snow or a tree, it won’t cave in like a traditional house because the outer shell of a dome home distributes load evenly. It also supports itself, which means the sky’s the limit on how you design your interior, since bearing walls aren’t necessary to support the shell. If you’re a person who regularly fears everything, like being squashed in your bedroom by a falling tree during a nighttime storm, a dome is a wonderful choice for you. 2. Responsible living: energy efficiency and ephemeralization. Spheres enclose more volume with less surface area, meaning slower loss of indoor temps (as long as insulation, doors and windows are well installed). Geodesic domes are designed to be highly insulated and use 30% fewer building materials. All of this translates to lower energy consumption. Buckminster Fuller was a deep thinker who imbued dome homes with his philosophy whether we like it or not, including ephemeralization. Put oversimply, this is the concept that society can perpetually do more and more with less and less: a kind of resistance to the fact that earth’s resources are finite because the applications of recycling are infinite. For movie examples, think about the costumes in Mad Max or Kevin Costner drinking his own pee pee in Waterworld. With domes, ephemeralization can play out less traumatically with the use of recycled, salvaged, and repurposed materials. While you’re free to make your dome’s interior from fresh-out-of-the-box materials, a true domie will cruise Craigslist and consignment shops for creative solutions to fixtures, doors and countertops. They’ll mill any timber they cleared for use in staircases, cabinetry, moldings, and mantles. For a real-life example of some serious ephemeralization at play, take a gander at this creative vacation rental dome in Hillsborough, NC. If you’re into responsible, efficient-but-not-necessarily-tiny living and enjoy DIY, a dome may be right for you. 3. Just plain good energy. Light multiplies on the internal angles of a dome. Plants love it. Musicians say the acoustics are divine. Combine that with elements like natural wood, stone, creative use of rescued building materials, and the fact that no two rooms look alike, and you have magical energy. Like any home, some domes can be too dark or have weird juju, but for some reason, the flow of a round house makes it harder to feel gloomy. Not something that can be put into words. If you’re a sensitive, energy-aware human, step into a dome to see if round is your thing. Are Dome Cons Really Cons? We’re currently ensconced in research to build our own dome, including interviewing other dome owner/builders. We’re renting a 17-year-old, 40′ geodesic dome in its final stages of completion by the original builder. We live next door to a 30-year-old geodesic dome. The dome we’re renting sat unfinished and unloved for a decade. After assisting with the issues of a neglected teenaged dome and spending time in the older dome next door, we’ve realized that even poorly treated domes plunked in the middle of a humid forest can have a great shelf life. As with any type of home, construction shortcuts or laziness can result in serious issues, but structurally, the domes we know have remained sound despite abuse. And domes don’t even have roofs to replace. Isn’t it so noisy? Domes have a cool acoustic effect. If we stand in certain places on different floors with doors open, we can have conversations like we’re next to each other. I like this because I can move from room to room, getting stuff done while we talk. With doors closed, we don’t hear each other more than in normal houses (and our doors aren’t exactly plumb, Bob). Domes with too few interior walls and doors, carpets, or rugs will probably have problems with noise, especially if a toddler or barking dog is around. This is similar to what would happen in a rectangular home without doors, walls, or rugs. If you’re building your own dome, spring for sound proofing in your interior walls and cast-iron pipes. If you’re in an existing dome, add accent rugs and tapestries to the walls. Our dome has a carpeted master bedroom/loft, polished concrete floors everywhere else, and warped, gappy interior doors. Noise levels are fine. Won’t I hit my head all the time? Probably not. Most residential domes have a few feet of flat wall rising up from the the foundation before they angle into the dome shape. The main floor should keep the tilted walls above your headspace. The upstairs will have a slant to it, so plan the content of your rooms up there accordingly, like by closing the acute-angle areas off into closets. What else do we do with all the acute angles? A well-planned dome interior will actually have plenty of right angles, though all domes will have a few extra odd angles, too. Storage closets, art, plants, and custom shelves are great for weird spaces. If this kind of conundrum sparks unhappiness instead of creative excitement in your heart, a dome may not be for you. How do I furnish it? Easily. Our furniture moved seamlessly from a traditional to geodesic home. Again, successful domes have plenty of flat walls and right angles throughout. Won’t it leak? Yes, and also: so do traditional homes. The dome we live in was not carefully constructed and has been sitting open in National Forest for over a decade, yet the shell only has 3 minor leaks. Leaks in geodesic domes often happen at the joints between their triangles. Dome-kit manufacturers have been working to improve that issue for decades. According to one dome owner/builder I spoke with, now, more than ever, kit vendors have vetted mortar and exterior-painting techniques that will prevent leaks if you follow the instructions carefully. If you’re considering an existing dome, look for stains on paint along the inside of the outer shell to detect shell leaks. Remember that, like any house, windows and doors will be major culprits for leaks as well. If you’re buying an existing dome, hold it to the same standard you’d apply to a rectangular house, no matter how much you’re in love with the dome! Have it inspected fully, down to the wiring and plumbing, before you make an offer to avoid major surprise expenses after you move in. Wait, if domes are so efficient, what am I doing with all this wasted drywall? The dome structure purportedly takes 30% fewer building materials to build, but if you don’t go with a kit, you’ll waste that 30% as you saw traditionally shaped materials into triangles. Kits come pre-cut (and hopefully pre-insulated), greatly reducing the waste that can happen while building the exterior. If you’re building a dome, life will probably be much easier if you go with a reputable kit company. Like with any big decision, make a lot of phone calls and go with the vendor that gives you the most confidence and addresses your questions directly (i.e., doesn’t answer the question they wish you had asked instead). Waste of interior materials in the dome are another issue, from drywall to wiring. Back to the reputable-dome-kit-company point: they should have architects on staff to help you design an efficient dome and steer you away from making wasteful mistakes. Don’t be a DIY hero. Dome builders are a dedicated bunch who tend to be big on sharing knowledge and empowering other domies. Take advantage of their experience. Will a dome have difficulty meeting building codes like fire escapes and sewer vents? Chris and I know the least about this topic because we live in a county with no codes. Good kit vendors can talk through this issue with you, though. I know our dome kit is prepared to meet 2012 IBC regulations when assembled. If you live in an area with regulations and restrictions (hey, fancypants! ), do your research. Talk to your kit company and to builders who have constructed domes before you dive in. Research will make it easier to address any strict code issues up front and will help you budget for those extra sets of engineer-sealed plans. Can I finance this like a normal house? Ahhh, maybe. After encountering one scenario that required us to wrangle 6 figures after financing, we shifted gears and were extremely blessed to find a private investor. Had we not found a funding source, we may have had to switch housing styles. This journey is all about flexibility, so we did research hemp houses, modern modular, and pre-fab log cabins, because lenders seem less freaked out when there are more right angles involved. However, in the end, by sticking to our guns and applying our standard total lack of understanding mixed with a heavy dose of problem solving, we found a way to progressively and flexibly finance the building process of a geodesic dome. 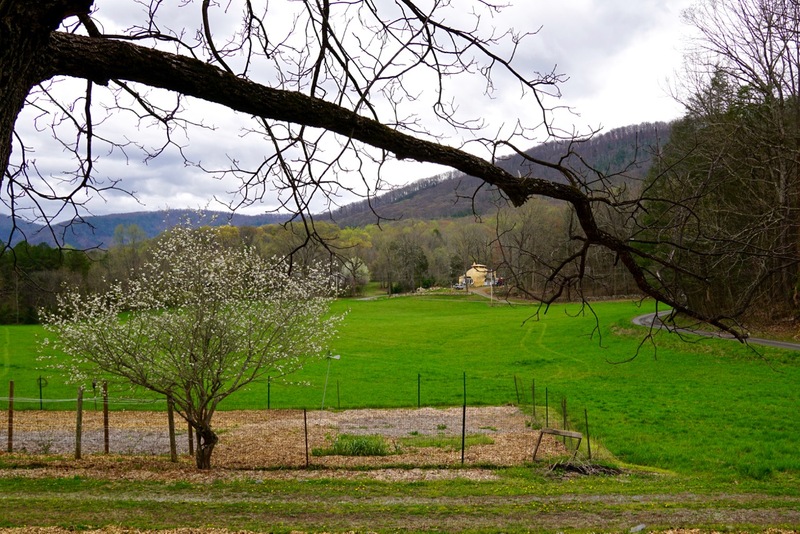 Financing any new construction, particularly on rural land, can be dicey. The financier signs off on only the amount they believe the funded structure would be worth if they had to sell it off. Though domes can have stellar resale, the unknown makes some lenders overly cautious about comparing them to traditional homes with similar features. Our best advice is to avoid skittish lenders who will bump up your rates. Look for your own private investor or ask a kit vendor, who may have a trusted lender to refer you to. If you have experience with financing for a non-traditional house, we welcome your comments. If you’re creative and love natural light, tall ceilings, good energy, and feeling safe, look into dome homes. If you’re buying an existing dome, have it inspected fully before making your offer. No matter how much you fall in love with a round house and feel the need to purchase and live in it, know that, durable or not, a dome home can be as much of a money pit as any house if it has fallen into disrepair. If you’re building your own, a reputable dome-kit company will mitigate most of the dome home’s concerns. The best kit companies have been around since the 70s and are run by dedicated innovators with an unparalleled passion for domes. They’ve honed the kits to eliminate leaks and building-material waste and will spend hours helping you plan foundation, excavation layout, and interior features to lower costs and lifetime maintenance. Do your research. Message us. Move forward flexibly and optimistically. And such as that.